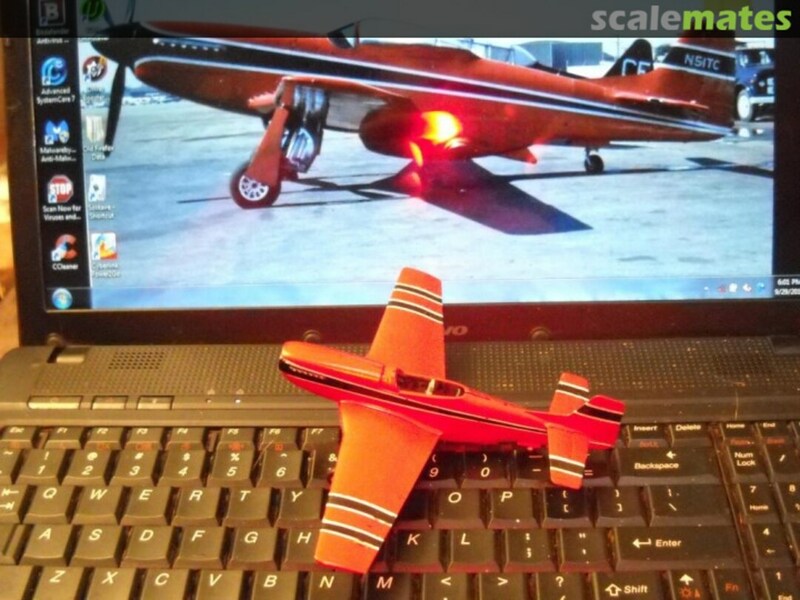 Warbird Information Exchange • View topic - Did You Build Models As a Kid? Post subject: Re: Did You Build Models As a Kid? I remember building a Tamiya 1/48-scale Mustang when I was 11 or 12. I started building plastic models as a kid in the '70s, but I was pretty random; funny cars, space ships, ect. I remember doing an aircraft carrier - don't know which - and I had to cut off the wings of ~40 airplanes and glue them back on folded (Grumman style) and the whole thing became a glue ball mess mixed in with the paint from the flight deck and it got all over my work table and my clothes . That one succumbed to the BB gun in the backyard. In 1977 was the first year I went to the Reno Air Races and I saw the Confederate's doing their Tora act and I was smitten. I had been to airshows and air races before, but this was the first time seeing 'warbirds in action'. And I set about building as many 1/72 scale models I could right out of the CAF Airshow program. I still have most of them in my old room at my parents and I will get them out soon. I found Keith Davidson on the web (Red Pegasus Decals) and bought a bunch of his work and commissioned a bunch more from him, and he was cool enough to print me the registration for Ted's plane, too. And that set off a new obsession and I have acquired a dozens of civilian warbird and air race decals sheets and kits for them. Last edited by Lon Moer on Sat Aug 11, 2018 2:28 pm, edited 3 times in total. 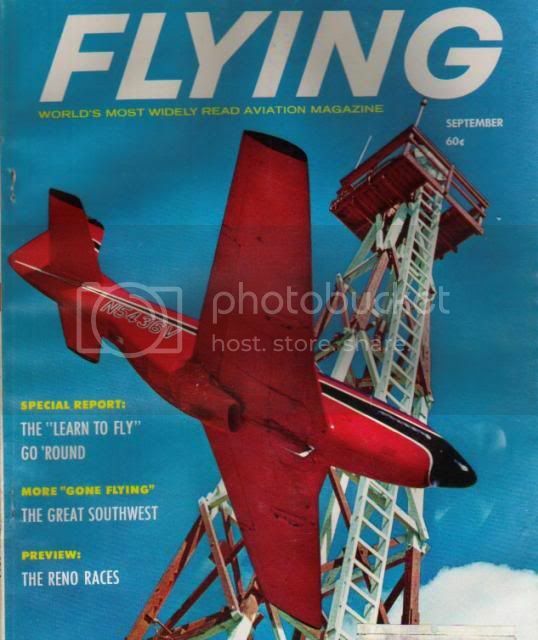 I've loved red Mustangs since I saw one on the cover of Flying magazine in 1964. Started a model of it myself a couple years ago--I need to finish that up someday. Post pics of yours as soon as it's finished! That is the same Mustang(44-84753), from its earlier owner Les Grant. Ted Contri restored two other Mustangs in NEV ANG colors; "Sizzlin' Liz" and "Rosalie", but he never changed the red Mustang. I think the intent of the site is very cool, and since I've been building plastic car and airplane models since 1963, I'd probably fit right in. I'll probably give it another look. As a kid, had every WW2 plane and ship model then on the market (1970's), American and German. More than 200 in alll. When I was in the military, mom decided to selll the house. All my models went into the garbage truck. My brother, even as a teen, was an award-winning armor builder. I only ever built a F-101 once for a contest, at about the age of 12 or so and won 1st place for youth. Yeah, I used to do models as a kid as well; the problem is that I'm nearing my 30s and visibly still am a kid my models don't look good enough for me to dare and show them, but I've recently finished an Il-28 "Beagle" by Trumpeter and a Polikarpov I-5 by ICM, both in 1/72 scale, and they've joined the ranks of my constantly increasing plastic air force! When I was too little to build kits really, I built a 1/72 snap tight f-18, and painted it white, with black red and silver stripes. I remember that as my first kit. For Christmas when I was 12, I got my first 1/48's, a Battle of Britain set from Monogram, with a BF-109 and a Hawker Hurricane. I built everything I could get my hands on for the next ten tears or so. I stopped building planes for about ten or twelve years, and then started again in 2005 with a Tamiya P-51 in 1/48. I've been building them again since then, it's a good relaxing hobby. Eyes are bad now though, details are hard to do. Still a relaxing past time. Built a 1/72 Matchbox P-12E last year and loved it: challenging to get right but a lovely thing to make. I too agree with the initial post regarding some of the modern stuff: I've thrown two unfinished Tamiya kits in the bin recently (Mosquito and LaFerrari) because they were just really boring to put together: a bit 'paint-by-numbers' if you like. I think that type of kit is probably OK if you want quick results, but I realise for me it's now more about the journey than the destination.